EDGEFIELD – Mrs. Vivian Hammond Sprouse, 62, of Plum Branch Rd., wife of Harvey Sprouse, died Monday June 25, 2012 at her residence. Funeral Services will be held Wednesday June 27, 2012 at 2 P.M. at Edgefield Mercantile Funeral Home with burial in Sunset Gardens Memorial Park in Edgefield. Mrs. Sprouse was a native of Edgefield County and was retired from the South Carolina Dept. of Corrections in McCormick, S.C. She was a wonderful Wife, Mother, and Ma MMaw. 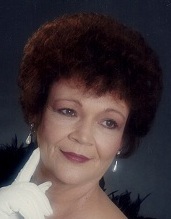 Survivors include her husband, 2 daughters- Roxanne Corley, Cyndi Cockrell; 1 Son- Bubba Turner; 2 Sisters- Ethel Crawford, Becky Lawton; 6 Grandchildren and 7 Great-Grandchildren.